We’re smitten with printin’ and know that you (and that special someone) are too! Peruse our list of the top 14 favorite gifts for this upcoming Valentine’s Day 2019—from heartwarming (and hilarious!) 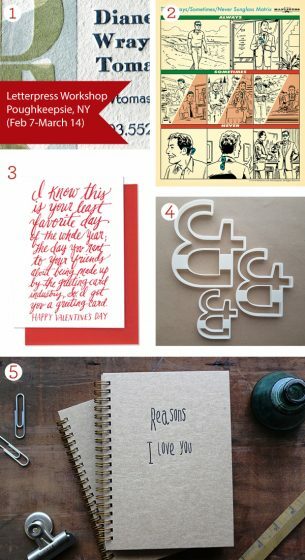 cards to letterpress goodies that are sure to bring a smile from ear-to-ear for that certain someone. Let us know what you are getting your printing paramour this year in the comments below! 11. 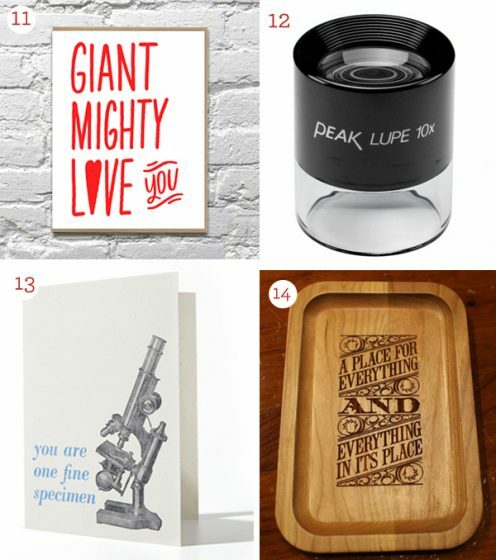 Bigger is better and especially in Valentine’s cards (from Benchpressed). | 12. Treat your printer to a 10x or 15x Loupe (from Badger Graphics) for their shop, you can never have too many. Or google “vintage loupe” to score one with personality and history. | 13. One Fine Specimen card from Type High Letterpress. | 14. A Catch All Tray from The Art of Manliness: A tray for printers with the philosophy many try and do to aspire to in their print shops.